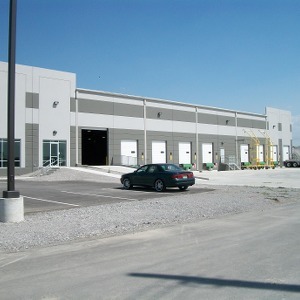 This project is a 50,000 square foot warehouse of concrete tilt-wall construction on timber pile foundation. The client on this negotiated project had an aggressive schedule of six months, but really needed the building in five months. With liquidated damages of $15,000 per week and no allowed rain delays, the project broke ground in mid-August. By November it was 3 1/2 weeks behind schedule due to 20 days of rain the previous month. Working extended hours, Lincoln’s project team and subcontractors coordinated all efforts to successfully deliver the completed project to the owner ahead of his five month goal!.